GNFC - The big becoming bigger! lower TDI prices impacting revenues? The company has written off subsidy income which is due for quite long and made a provision for investments in IL&FS. Plant was shut for 27 days for annual maintenance. Latest offer from GNFC is at Rs. 140-150/kg for TDI. 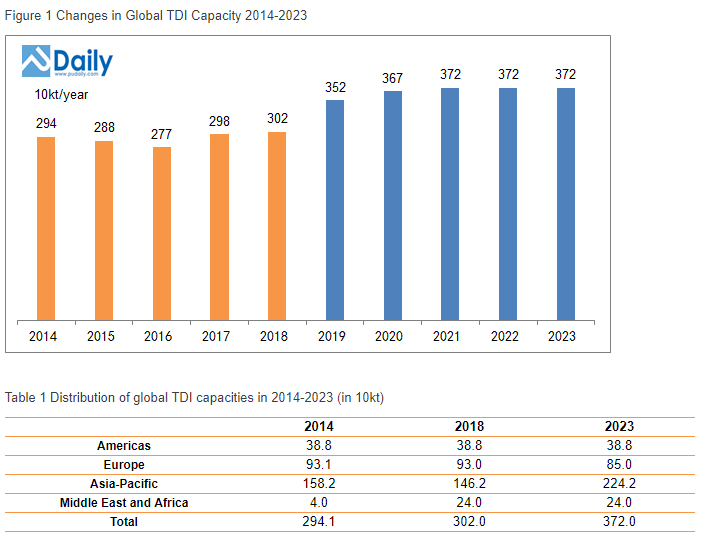 TDI Capacity in the world from 2014-2023.